A few years ago, I realized the world has been looking at Mario from the wrong perspective for over two decades. This was reinforced as I read “Does Mario Need A New Default” from Multiplatform, in which Danielle Sims questions the repetitive storyline of Mario rescuing Princess Peach again and again across games. However, from the perspective of truth, this repeated plot line is far more nefarious than it seems. 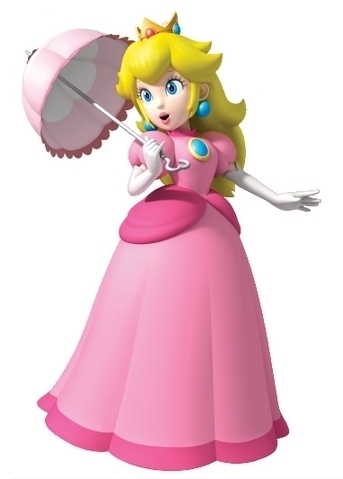 I had this epiphany while playing as Princess Peach in a round of Mario Kart 64. I was speeding towards a banana peel, no escape in sight. At the last moment, Bowser swooped in front of me and hit it, clearing my path. “What a gentleman,” I thought. The apparent enemy a gentleman, mysteriously abounding in wealth, and conspiring against the protagonist? Then, I realized I had been looking at Mario all wrong. The truth is the Mario canon is a sordid tale of intrigue, betrayal, and revenge. The truth is Mario is the villain, and Bowser is the hero. The Count of Monte Cristo has long been one of my favorite books. Set in the politically unstable and dangerous 19th Century France, this story of suspense-filled revenge wraps through a convoluted narrative and cast of characters all with their own secrets and failings. The story has been re-told time and time again. The current ABC show Revenge is loosely based on it , and traces of the story can be seen in CBS’s Person Of Interest (not just because James Cavaziel starred in the 2002 movie adaptation.) There’s also a great anime called Gankutsou that is a psychedelic, space-opera version of the tale. Edmond Dantes is about to get everything he could ever want at age 21: Become a ship’s captain, and marry his love, Mercedes. In a fit of jealousy, Fernand, Mercedes’ childhood friend, and Danglars, the first mate Edmond was just promoted past, conspire to get Edmond imprisoned. Edmond is arrested for a letter he is carrying from an exiled Napoleon, and brought before Villefort, the local magistrate. Villefort is about to let Edmond go, when he learns the letter is being sent to his own father. To protect his family name, and his political future, Villefort sends Edmond to Chateau D’if, a prison where people are sent to disappear. In prison, Edmond meets the Abbe. They meet in secret via tunnels the Abbe has dug in his long imprisonment. The Abbe gives Edmond a complete education in language, fighting, culture, and more. After fifteen years of imprisonment, Edmond escapes by switching places with the Abbe’s corpse, and then uses the Abbe’s last gift: a map to a treasure hidden in the isle of Monte Cristo. Edmond acquires the treasure, and spends the next several years establishing himself as the mysterious Count of Monte Cristo. With his money and title, he gains ruthless revenge on those who built their success on his destruction. There are a few more details, twists, and turns in this 1,000 page story. Given this information, I believe Bowser Koopa, King of Koopa Castle, is the true hero of the Mario series. Both women are the center of this web of lies, betrayal, and revenge. In the book, Fernand betrays Edmond so he can marry Mercedes. In Super Paper Mario, Bowser and Peach are about to be married (there may be coercion involved), when Luigi breaks things up, and Bowser is broken hearted. Time and again, Bowser has attempted to gain back Peach, only to be thwarted by the jumping efforts of the Mario Bros. In the book, Fernand is an old childhood friend of Mercedes. Jealous of her affection for Edmond, and the upcoming wedding, he seeks a way to destroy his rival. In almost every Mario game, Mario sneaks his way through castles and jumps across moving platforms, only to steal Peach away from Bowser. In the end, Mario destroys Bowser and his castle. Bowser attempts to build it up again, and then it is destroyed. There is not an ideal match up with Danglar, and it was a tie between Wario and his love of money and Booster and his collection of random things. I went with Booster because he too attempts to steal Peach, and make her his bride, forcing Mario and Bowser to work together. While this does not match the conniving business machinations of Danglar from the book, it does establish another thwarting of Bowser’s union with his true love. In fact, Bowser has captured Princess Peach once again at the beginning of Super Mario RPG, only to have Mario come to rescue her, and then Smithy (a giant, villainous sword) stabs through Bowser’s castle, taking it over. Doesn’t this sound like a conspiracy against Bowser? I always imagine Villefort as slender. Villefort is a politician, following the trend of those who will maintain power. His action is to protect himself, because he lacks the courage others have. Luigi is Mario’s follower, unable to make decisions independent of his brother (despite Luigi’s few solo titles). He bends to the winds of the winner. Edmond has worked hard to earn his place as Captain of the Pharaon, and is promoted over long-time first mate, Danglar. The ship and Edmond’s position is just another thing stolen by the jealous conspiracy of Fernand, Danglar, and Villefort. In Yoshi’s Island, all Bowser wants is a Yoshi of his very own to ride. Again and again, he is thwarted because a young Mario has manipulated the Yoshis into believing Bowser is the enemy. While Bowser later gains air ships, clown-copter-things, and other transportation, he never gets his very own green dinosaur. In the book, the Abbe is locked away as a political prisoner. The guards believe he is mad because he keeps offering and impossible treasure. He becomes a mentor to Edmond, training him, helping him, and ultimately providing the map that leads to the treasure that funds his revenge. Kamek, the flying version of Magikoopa, is Bowser’s mentor over the course of Yoshi’s Island. While appearing as a minion, he really is training Bowser in secret, providing guidance that Bowser will apply later. It is Kamek’s sacrifice which helps Bowser acquire his wealth, and build his army of Koopas and other creatures. The Count of Monte Cristo is a man of mystery, a man of mystique. Secretly, he is a man of great intelligence and cunning, with a ruthless sense of vengeance fueled by the anger of lost years and opportunities. He is created by the conspiracy of smiling enemies. The Count of Monte Koopa has been betrayed by Mario and friends, shunned and pushed aside. He is a misunderstood lizard king whose apparent tantrums and ruthless attacks on the Mushroom Kingdom are really part of a grand plan of revenge. Every time he kidnaps Peach, it is yet another manifestation of his hidden love for her, thwarted by the jumps and fireballs of Mario. So, the next time you turn on a Mario game, remember the truth. Remember it is Bowser who is the hero. 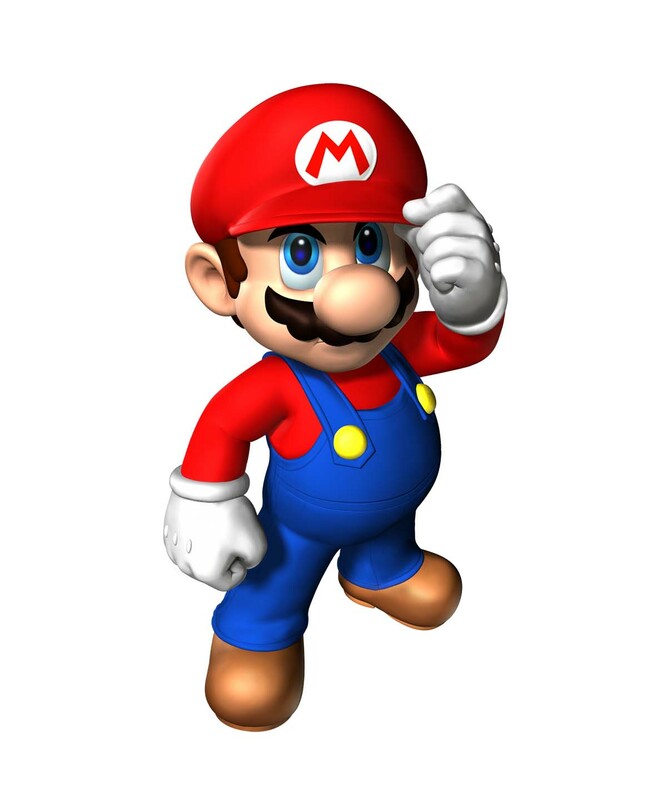 What is your interpretation of the Mario canon? What other video games match classic literature? Do you want a Yoshi of your very own? This reminds me of a paper I wrote in college where I tried to explain how every RPG ever made could be argure to be a thinly veiled reworking of Heart of Darkness. Oh man, I love this! Fabulous. I love anything with Super Mario and this just made me very happy. This is a fun analysis, and I’m sure it would be even more fun if I was deep into Mario lore. Now what novel does QBert remind you of? I would actually picture the Three Musketeers as Mario, Donkey Kong, and Kirby, and then Link (of Zelda fame) as D’artagnan. They would be up against a mastermind from Sony or Microsoft – like the Kinect, or higher graphics, or Master Chief from Halo. I was reading the book again recently (yes, I do enjoy books by Alexander Dumas), and found it interesting that while the Cardinal does some dastardly things, he ends up befriending and becoming a benefator to D’artagnan at the end of the book. So different from what we usually envision. This is hilarious!!! Well, I’m playing Harvest Moon: The Tale of Two Towns, so the parallel to A Tale of Two Cities is the natural choice. But this game is A Tale of Two Cities meets The Bachelorette. In a way, A Tale of Two Cities is like the Bachelorette, because Lucy is courted by Sydney Carlton and Charles Darnay throughout the book. Although, I don’t see most contestants on the Bachelorette being willing to sacrifice themselves to save another man’s life.